Caldwell Hall is much brighter, now that we have replaced the sodium lights with LED lights. 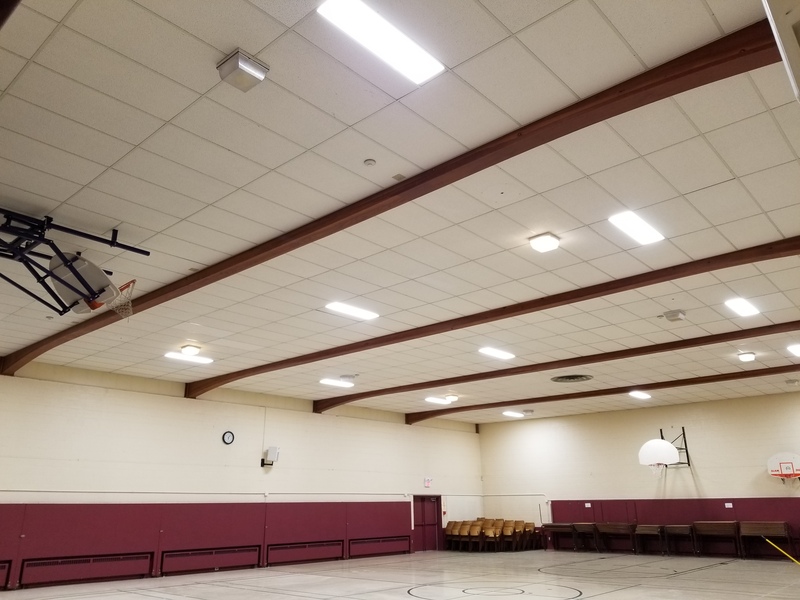 This will definitely reduce our electricity costs and the hall is much brighter, which is better for groups like Pickleball. They even have dimmer switches so that the lighting levels can be adjusted. The speakers in the hall have also been replaced with the speakers that used to be in the Sanctuary and the sound is fantastic. If you have a group that would like to rent out the hall, please contact the church office for more information. Passport to Peru Vacation Bible School will run daily from 8:30 to 11:00 am August 21st to 25th with a lunch and presentation on Friday for the children and their families. Come out and learn about Peru and God’s love. Fun, games, snacks, crafts, making new friends and learning more about the Bible… everything you like . Limited space, so reserve your children’s spot early. Contact Debbie at deb-stjohnyouth@cogeco.ca or call 613 936 3454 for more information. This is an event for all children Grades 1 through 5. Posted on January 27, 2017 by stjohns-cornwall | Comments Off on Elevator Operator Voulenteers Needed!